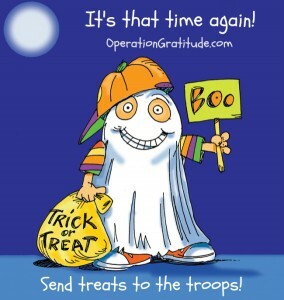 HomeCooked is collecting candy, letters, toothbrushes/toothpaste for our troops. As a part of Operation Gratitude, we are saying thank you to all who serve. When you stop in to HomeCooked to pick up your dinner, remember to bring some of that Halloween candy that’s been hanging around the house. The candy, letters and supplies will be packaged into care packages and mailed to our troops. Please note that collection of items ends November 9th.